I'm sorry! 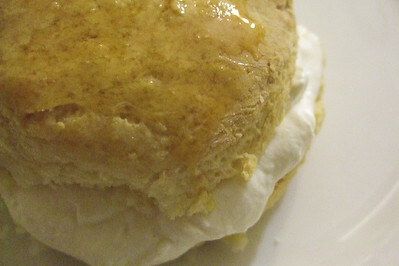 I know I've posted far too many scone recipes on this blog, but I swear this one is worth it. I thought I had completed my quest for the perfect fluffy scone after having much success with the CWA scone recipe but this one is even better. After enjoying some delicious lamb shank pies and date tart at Gazebo, Lisa and I couldn't resist stopping by the British Lolly shop to buy rhubarb flavoured lollies and my favourite, Lyle's Golden Syrup. This stuff is liquid gold I tell you. I went on the hunt for some good recipes to make the best use of my precious syrup and found this winner. 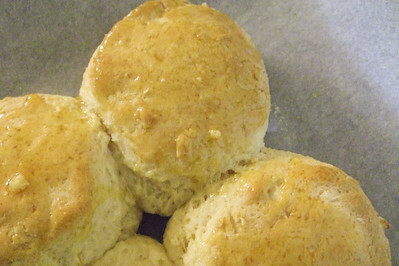 Fluffy cream scones with golden syrup added to the dough, as well as brushed over their warm tops to give them a caramel-like glaze. Preheat oven to 180 degrees C and line a baking tray with paper. 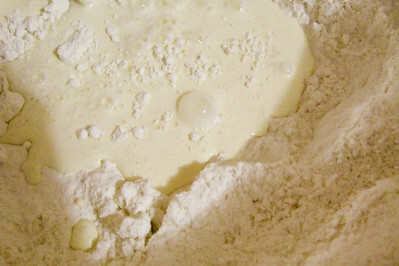 Sift flour and sugar into a bowl and mix a little with a butter knife. Make a well in the centre, place the golden syrup in and then pour the milk and cream on top. Mix lightly and quickly with your butter knife until just combined. 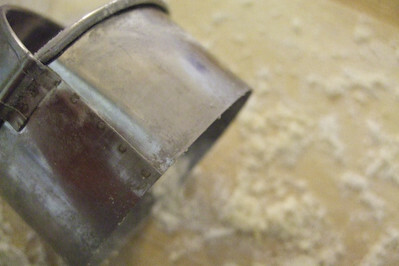 Place on a lightly floured surface and press out until about 3cm high. 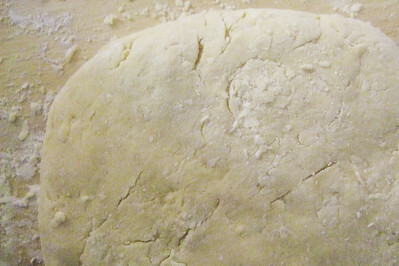 Use a 5cm scone cutter to cut out the dough. This recipe cuts about 8 scones for me. Place on your lined baking tray so they are just touching and bake for about 20 minutes or until the scones are cooked through and light golden brown on top. 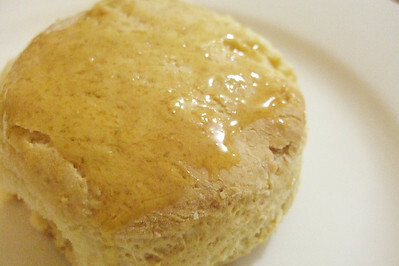 Once they are cooked, remove from the oven and brush the tops of the scones generously with the extra golden syrup. Allow to cool for a few minutes and then slice in half and serve with cream (and extra golden syrup if you are a nut like me). To be honest I really don't know if these will be as nice if they were made using the dark golden syrups you get in the supermarkets here, since the Lyle's stuff is so much lighter and less bitter. 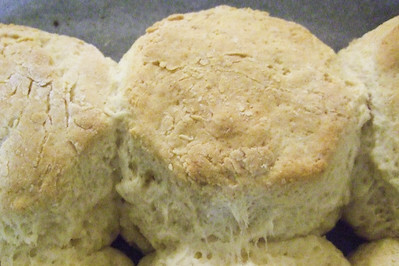 A proclaimed these to be the best tasting scones I had ever made and proceeded to scoff down two huge ones with a ton of cream, which is high praise from a well-known anti-sconner. I absolutely fell in love with them. The golden syrup makes them smell and taste amazing, especially with their sticky, golden tops. 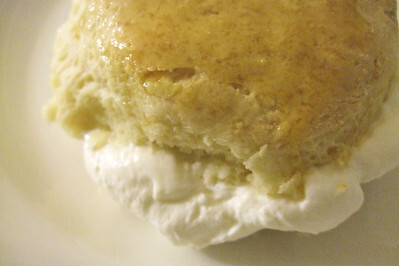 I loved them so much that I made them again and almost used up the entire jar of syrup on these scones alone. And I would do it again! 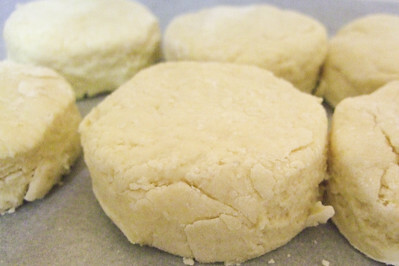 I have never baked a scone in my life because I don't have scone cutter. hehe!! I just got one last week. Now looking at your gorgeous scones, I wanna to make them next week. Yum! I'm always after a good scone recipe. I think it's about time I made some again.. and yours look great! Your scone fetish is hilarious! Everytime I think you couldn't possibly come up with another recipe, there it is!! Love the sound of these though - you're making me feel like a scones/cream/jam kind of afternoon. They look so delicious! I love a good scone so I will have to try these out! Yay, another use for my massive bottle of supermarket golden syrup - thanks! And you can never have too many scones (or scone recipes). I think there's never enough recipe for scone. This sounds like a winner! There can never be too many scone recipes Steph!! These sound amazing! I just had lunch, but I feel like a scone now! Too many scone recipes? NEVER! Just saw your link to the CWA recipe. Must check that out for the Ekka next year! Yay! Scones! They're just so nice and comforting and ...nanna-ey. In fact, I've never made them as I don't think I'll be able to better my Nanna's ones. Perhaps I'll have to try these ones, I am a huge fan of golden syrup. Wooo these are looking lovely! 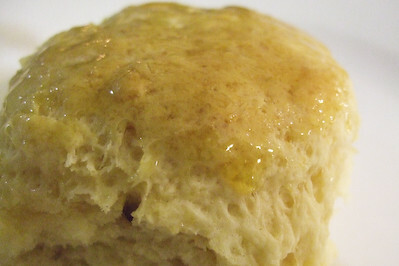 I love scones with alot of syrup all over it! Thanks for the recipe! I made some the other day, it was delicious! Anita - Thanks! Give these a try, they're a great twist on the plain scone! Shez - Hahaha *embarrassed* I can't help it! I could seriously eat them everyday. Rilsta - ooh let me know if they turn out good for you! Lorraine - I know, the tin is so annoying but I'm willing to put up with it because it tastes so good :) A squeezy tube would be brilliant! Anh - :D Thanks, I'm totally obsessed with it at the moment! Betty - I'm glad I'm not the only one who thinks so ;) I always feel like scones! Bean Sprout's Cafe - I never saw the masterchef one, but I love any scone recipe which uses cream instead of butter, I find they're a lot fluffier and less greasy. Julie - :) Ooh yes they're winners in my book! But very easy to over mix! Yas - Same here, the more syrup the better I say :) Thanks! Grace - Oh yay I'm so glad they turned out well for you! You're very welcome! Mel - Thanks so much for your comment! I love getting good feedback about recipes :) So glad you liked them, I tend to scoff heaps of them too! The scones looked too good not to try. I've never baked scones before but they turned out great! Will definitely do this again! Thanks for the recipe! I'm making these ones for sure! do u recommend these ones over your CWA scones?? i have actually made both and they both taste great, but i want to learn to perfect one - which one do u say is the BEST scone u have ever had? It really depends on what you are looking for in a scone! These are great to eat on their own with cream, but the CWA scones are the best plain scones for jam and cream. The CWA version are the ones I make the most because it's so easy and foolproof! Cupcake Day for the RSPCA - Pupcakes!